Treasure Nile is an Egyptian-themed, progressive jackpot slot from Microgaming that offer players nonstop excitement and phenomenal winning potential. It has nine paylines on five reels and is packed with dynamic graphics and sounds that beat many standard Egyptian slots in the web. While the game has been around for a few years already, it still gets a whole lot of attention. Boasting of great sounds, vivid graphics, and huge payouts, this progressive jackpot slot is a top choice among online casinos. 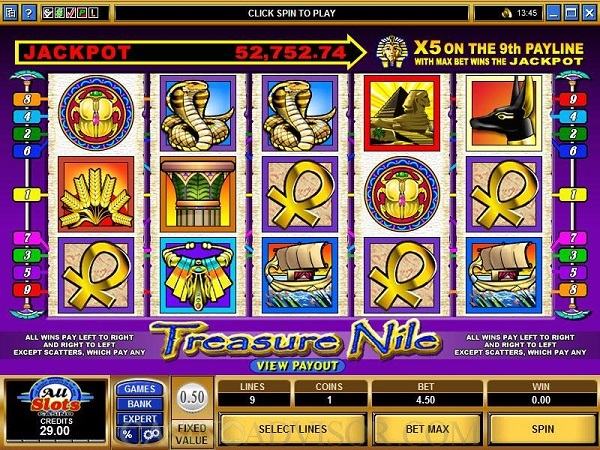 Treasure Nile has been a popular favorite for many enthusiasts as it offers several ways to win and linked to Microgaming’s progressive jackpot network. This means that you don’t just enjoy stunning sounds and graphics in an easy and straightforward slot game, but also get a shot at their ever-increasing jackpot! When it comes down to sounds, the soundtrack is original to the game’s theme, which is a positive since this is isn’t always the case when it comes to slot games. But if you’re the more silent type of player, then you may always turn off the effects sounds, background sounds, win sounds, or the whole sound package. In terms of graphics, they are also well done and easy to read for added entertainment and functionality. You will love the fact that rather than the usual poker cards, you will be welcomed with a wide array of Egyptian sights and sounds. From the Nile to the Sphinx, strange scrolls and sacred Ankhs, Treasure Nile has all the boxes ticked. The symbols on this 5-reel slot are made up of different Egyptian items like an Ankh, Anubis, Scroll, Snake, Ship, Necklace, Sphinx with Pyramid, Pillar, and the highest valued Sarcophagus Head. If 5 of these symbols appear across your active paylines, then you will win as much as 6,000 times your bet. The scatter symbol is the scarab beetle, while the pyramid at sunset is the wild symbol. The latter will substitute all the symbols (except for the scatter symbol), and you will be need 3 or more of the scatters to appear in order to get a Scatter Win. Take note however, that the wild symbols cannot be combined with the jackpot symbols to win the progressive jackpot. Treasure Nile’s progressive jackpot is seeded at £40,000 and continues to swell until someone wins it. The game’s jackpots have been reported to reach a sum of over a million dollars, waiting to be taken home by the lucky player. To win the progressive jackpot, players must hit 5 Sarcophagus Heads on the 9th payline. As for the regular symbols, they also offer solid jackpots. Getting 5 Sarcophagus Heads in an enabled payline aside from the 9th will award you with 6,000 coins, while 5 Sphinx will get you 3,000. Meanwhile, the Ankh and Anubis symbols can fetch you over 1,000 coins for 5 combinations in a payline. Another great thing about the Treasure Nile progressive jackpot slot is that it offers a wider stakes range and is widely available at most Microgaming online casinos. 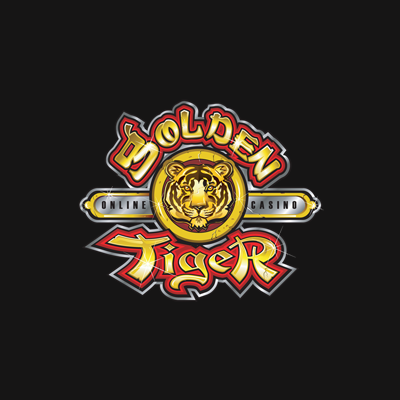 As a matter of fact, this slot game can be found in a number of Microgaming casinos including Casino Classic, Grand Mondial, and Golden Reef Casino.